All managers know how important it is to have a healthy, happy work environment. If you have a gym, studio or grass area at work, then we can offer training sessions. 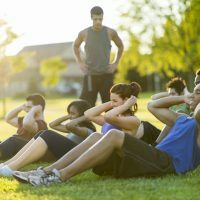 Circuits and core stability training during the lunch time or after work are an excellent way to train in a short space of time and with a large group.